Make some serious noise figuratively speaking by wearing Giorgio Brutini Leather Boots. 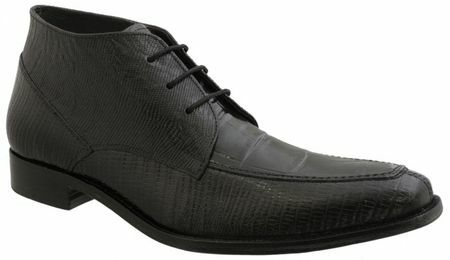 These boots are designed in Italy and are made or really nice looking lizard print leather with crocodile print leather on top and have a pointy Italian style toe. They even have head turning red painted leather soles for making even more of a visual impact when you wear them. Get the styles of Giorgio Brutini Shoes you want to be seen wearing. Who doesn't love to party wearing Zoot Suits.